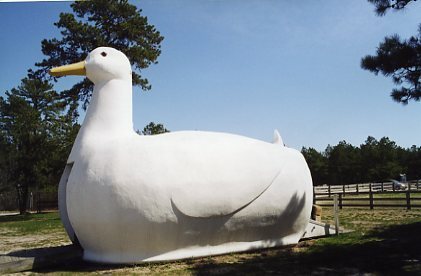 A photograph of the Big Duck, which is also known as the Long Island Duck. The building was constructed in 1931 by a duck farmer named Martin Maurer. 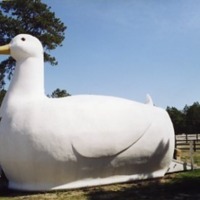 Harrison, Robert L.	, “Big Duck,” Hofstra University Library Special Collections: Digital Collections, accessed April 25, 2019, https://omeka.hofstra.edu/items/show/882.